…A time to transform your home into something festive, but not at all tacky, and this holiday season OGT will be your best friend. 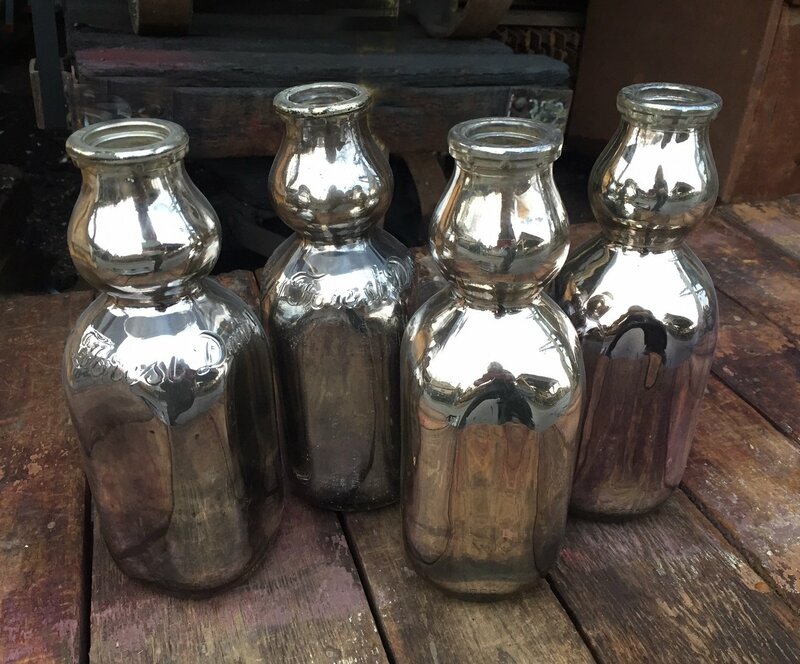 First up we have hand-silvered old milk bottles. Foraging for goodies in an old Brooklyn dairy, we found a batch of beautiful bottles made in 1954. Looking closely at the glass, a few, inscribed with Forest Lake Dairy, have a gorgeous pink hue. For all of them, the shape is what sets them apart. A design first patented in the early 1900s, there is a bulb at the top of the bottle, a visually quirky and entirely practical addition designed to collect the cream as it separated from the milk. 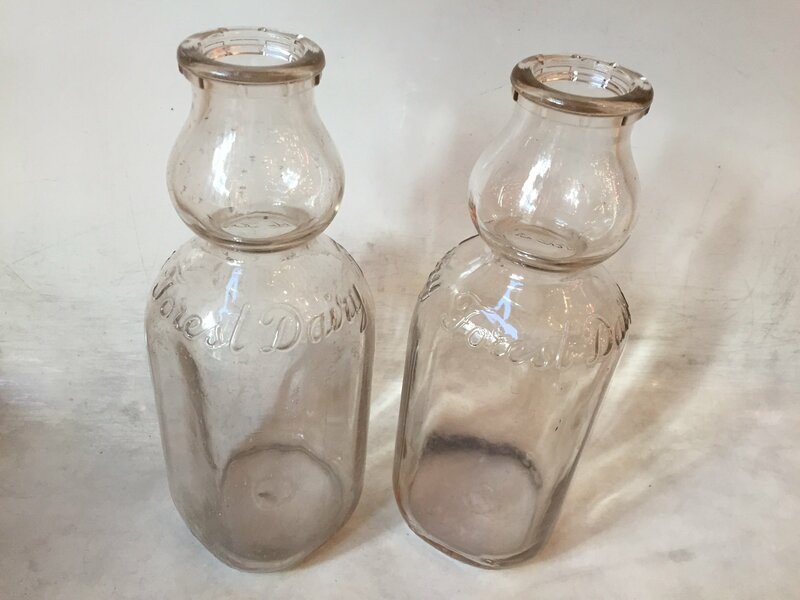 Cream Top milk bottles were sold at a similar price as the conventional ones however the dairyman had to pay an annual licensing fee to the Cream Top Bottle Corporation. In exchange, the Cream Top Bottle Corporation would give the dairyman exclusive rights in his territory to sell milk in Cream Top bottles. The Cream Top Bottle Corporation claimed many advantages for their bottles. Since they were only allowed to be used by one dairy in a given territory, they were easily identified and difficult for other dealers to steal and use. The Corporation also claimed that their bottles would experience less breakage due to their design AND that this unique design would discourage consumers from keeping bottles for preserving foods (a common problem with regular milk bottles) or storing other liquids. Advantages or not… in 1933 the annual licensing fee was challenged in court and not upheld, opening the door for more manufacturers and designs to follow (i.e. the MODERN top milk bottle and the baby top milk bottle). The bottles we found are not only Cream top milk bottles, but “space-saving,” due to their square shape. 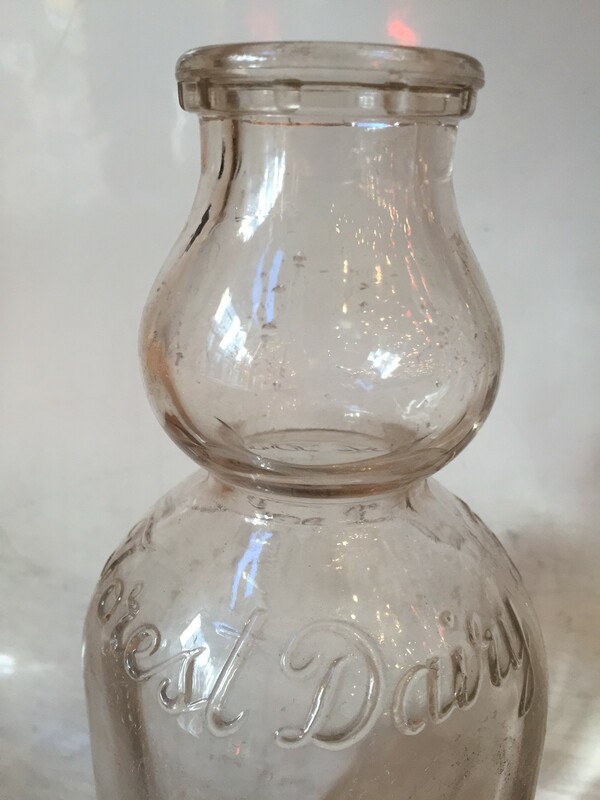 While the manufacturer is not listed, we know Lamb Glass Company was making square bottles during this time. We loved the shape and the story and true to Olde Good Things style, we wanted to add another layer. Our warehouse in Scranton is home to some truly talented craftsmen. Some make tables, some make tin mirrors and some use the old world way to silver antique glass by hand (more on that process to come!). After a few weeks in the warehouse… VOILA! 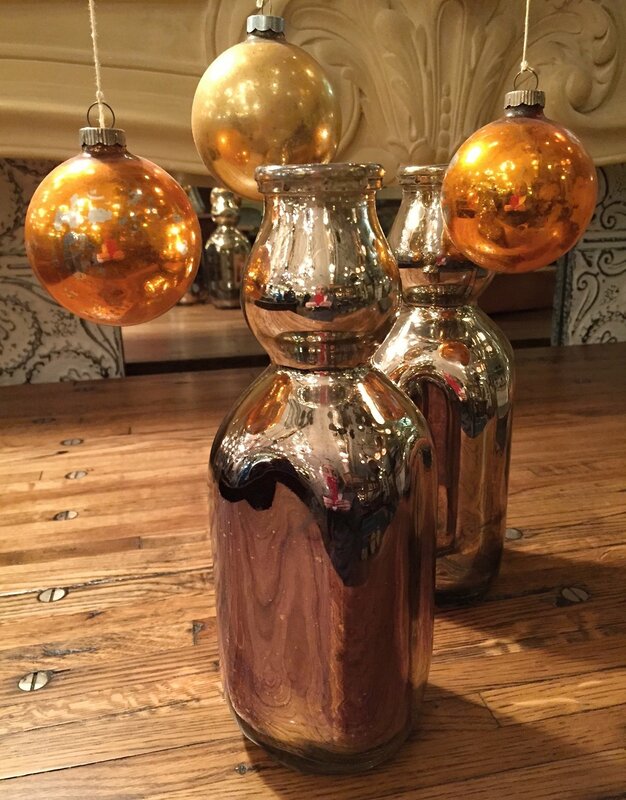 Something old and something new; A timeless piece perfect as personal décor or glorious gift. These beautiful bottles can be found online or in any of our stores. To inquire or purchase click here!